This American science fiction entertainment series has inspired enough merchandise for the whole world, from chandeliers to telephones. 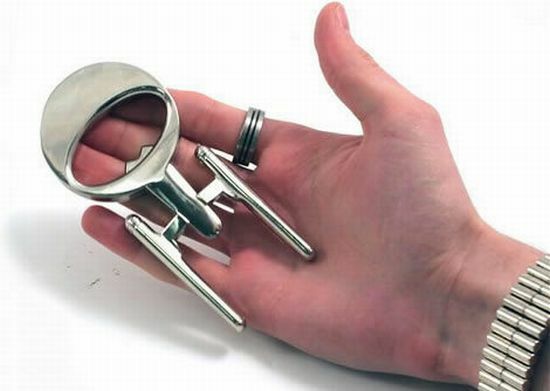 This time around it’s a bottle opener that takes inspiration from the Star Trek space ship and honestly, looks really neat! The U.S.S. Enterprise NCC-1701 that flew its way into the viewers’ hearts will now have its look-alike pop open the bottle for you at only Â£12. So if you have a big Star Trek buff for a friend whose birthday is incidentally around the corner, this will pretty much do the trick and make for an ideal birthday gift. ← Remote Control Pocket Pillow – A home for your television accessory!